This is an image from a painting I just finished for a dear friend in the Netherlands. 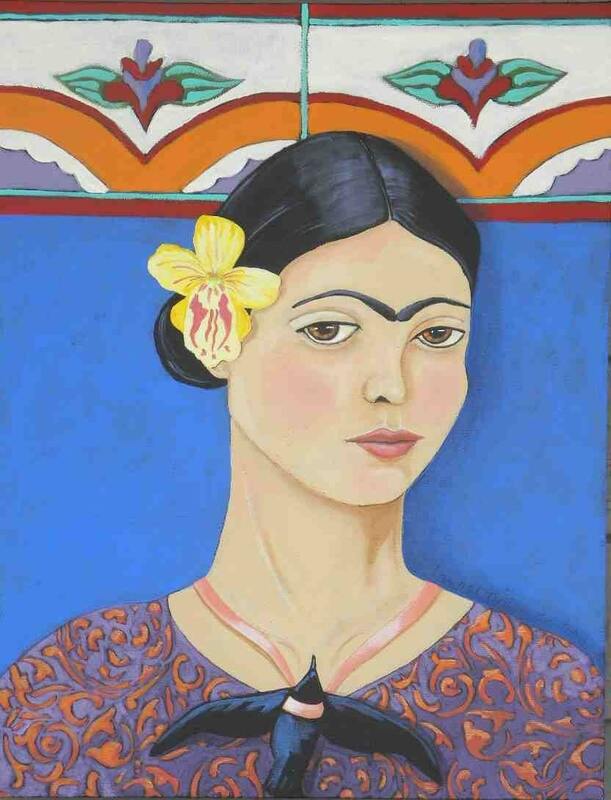 We both love Frida Kahlo! I was getting weary though of the many portraits of this beautiful artist displaying or emphasizing her horrendous pain and suffering from her long ago accident. I chose to paint her pain-free and young before anything happened to her. I hung her signature sparrow by a satin ribbon rather than thorns around her neck, trickling blood. She's free, beautiful, full of hope and promise! Each blank notecard measures approx 4x5" and comes with a matching envelope in a cello sleeve.